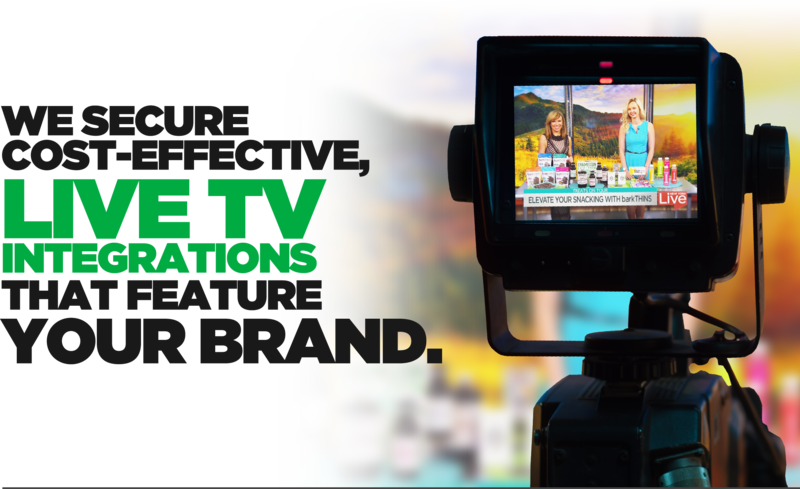 Zest TV Marketing / Production, a division of Zest Communications, LLC, is the only media platform in the country that secures and produces live nutrition and health TV integrations exclusively. Brands are featured in cost-effective, sponsored segments that air on targeted national and local TV news and lifestyle shows. As an additional and exclusive value-added production component, all segment content is delivered on-air by Registered Dietitians, reinforcing existing consumer confidence in a brand or introducing consumers to a new brand within an exceptionally persuasive and credible context. PR agencies and/or brand teams can choose stand alone or non-compete co-op segments as well as multi-market and sponsored “featurette” packages from our portfolio of nutrition and health categories: food brands, beverages, culinary products, restaurants/food delivery, commodities boards, grocery chains, and supplements. We have completed close to 670 TV segments, reached over 40 million consumers, and featured over 100 national and regional brands as well as over 20 commodities boards. In 2018 alone, we secured 239 individually-branded segments in 35 local markets, on 38 lifestyle and news shows for a total of 6.9 million estimated impressions.